Recent developments in multifunctional and nanoreinforced polymers have provided the opportunity to produce high barrier, active and intelligent food packaging which can help ensure, or even enhance, the quality and safety of packaged foods. Multifunctional and nanoreinforced polymers for food packaging provides a comprehensive review of novel polymers and polymer nanocomposites for use in food packaging. After an introductory chapter, Part one discusses nanofillers for plastics in food packaging. Chapters explore the use of passive and active nanoclays and hidrotalcites, cellulose nanofillers and electrospun nanofibers and nanocapsules. Part two investigates high barrier plastics for food packaging. Chapters assess the transport and high barrier properties of food packaging polymers such as ethylene-norbornene copolymers and advanced single-site polyolefins, nylon-MXD6 resins and ethylene-vinyl alcohol copolymers before going on to explore recent advances in various plastic packaging technologies such as modified atmosphere packaging (MAP), nanoscale inorganic coatings and functional barriers against migration. Part three reviews active and bioactive plastics in food packaging. Chapters investigate silver-based antimicrobial polymers, the incorporation of antimicrobial/antioxidant natural extracts into polymeric films, and biaoctive food packaging strategies. Part four examines nanotechnology in sustainable plastics with chapters examining the food packaging applications of polylactic acid (PLA) nanocomposites, polyhydroxyalkanoates (PHAs), starch-based polymers, chitosan and carragenan polysaccharides and protein-based resins for packaging gluten (WG)-based materials. The final chapter presents the safety and regulatory aspects of plastics as food packaging materials. 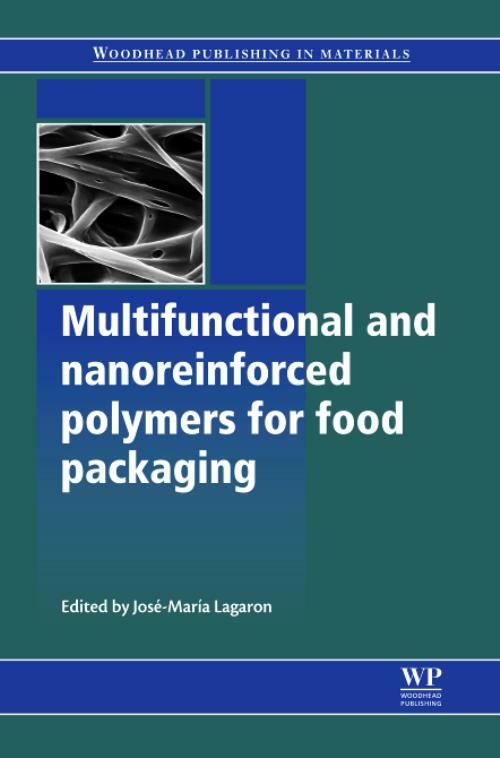 With its distinguished editor and international team of expert contributors Multifunctional and nanoreinforced polymers for food packaging proves a valuable resource for researchers in packaging in the food industry and polymer scientists interested in multifunctional and nanoreinforced materials. 6.4 What makes a barrier a barrier? Lagarón, José-MaríaProfessor Jose-Maria Lagarón is group leader and founder of the group Novel Materials and Nanotechnology at the Institute of Agrochemistry and Food Technology (IATA) of the Spanish Council for Scientific Research (CSIC) in Spain. He is renowned for work on the development of eco-sustainable food packaging based on polymer nanomaterials.